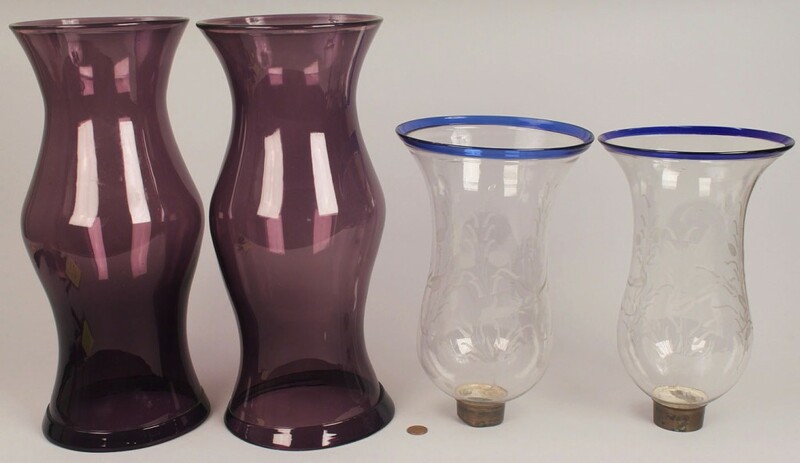 Two pairs of hurricane glass shades. 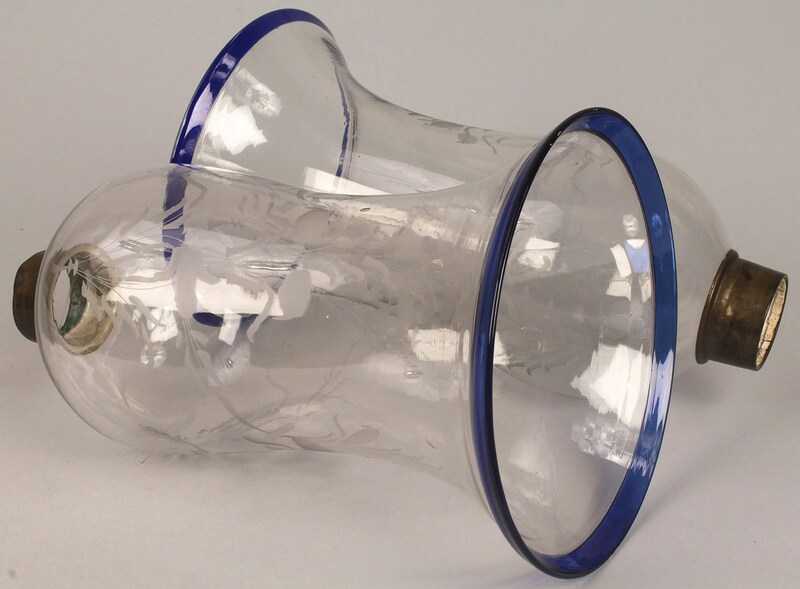 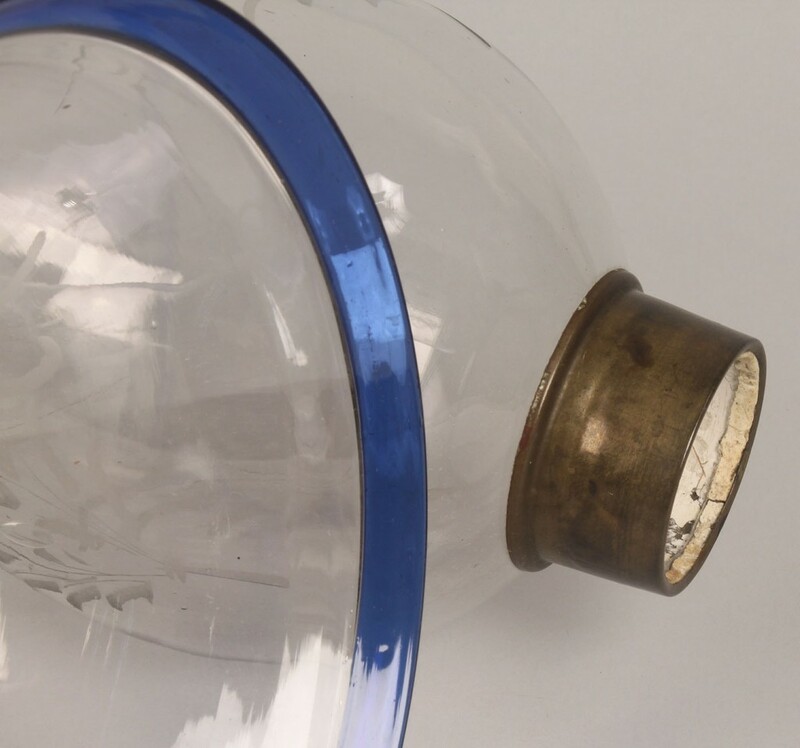 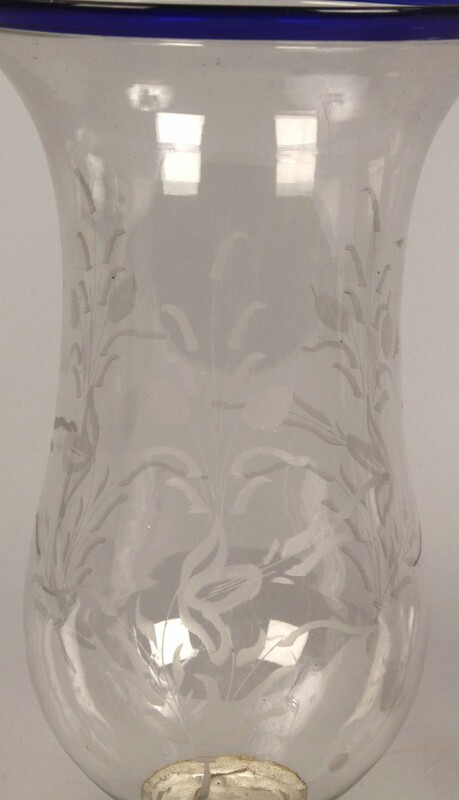 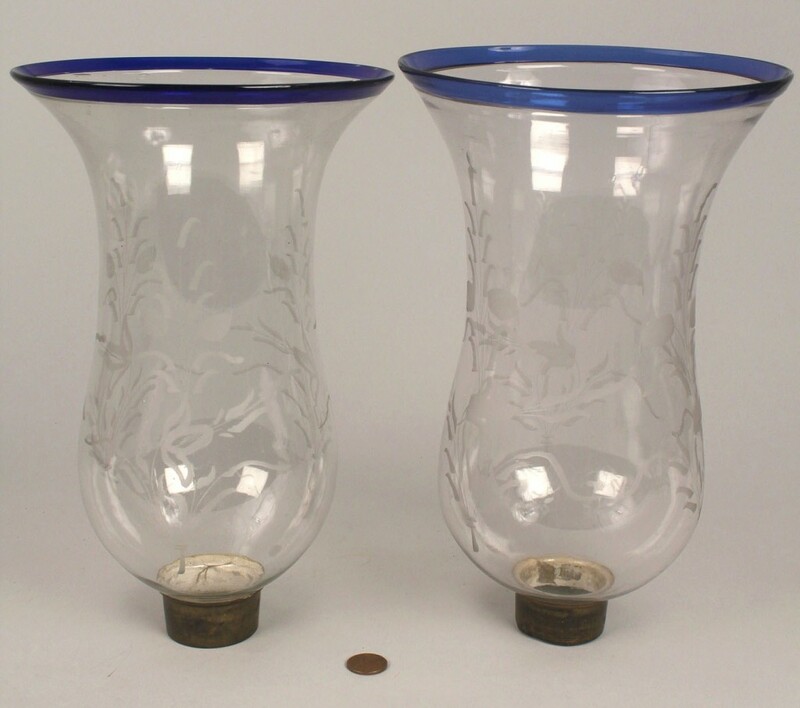 Item 1: Pair of campana form hurricane lamp shades, clear etched crystal with cobalt banded borders. 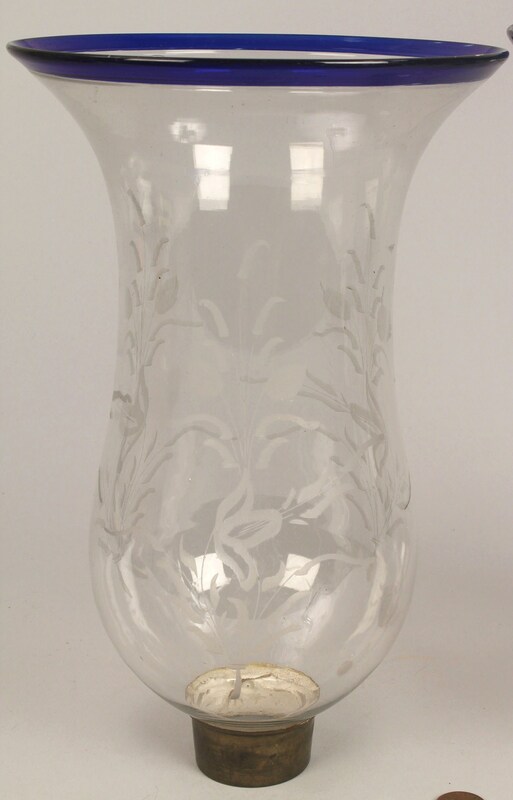 11"H. Late 19th or early 20th century. 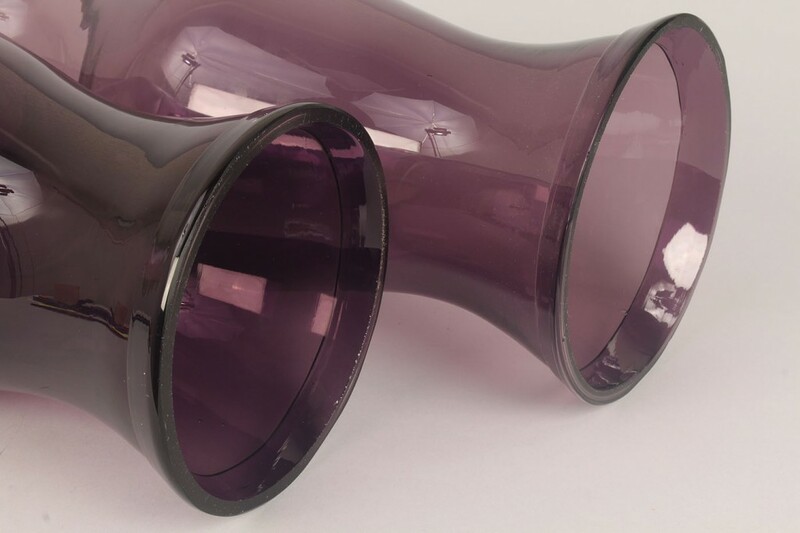 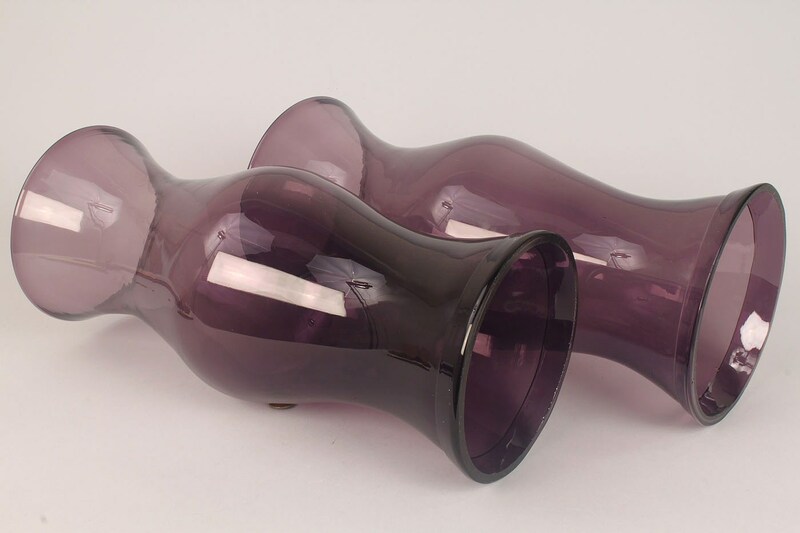 Item 2: Pair of vintage Amethyst blown and molded glass hurricane shades, 15"H. Provenance: Estate of Salli LaGrone, Franklin, Tennessee. 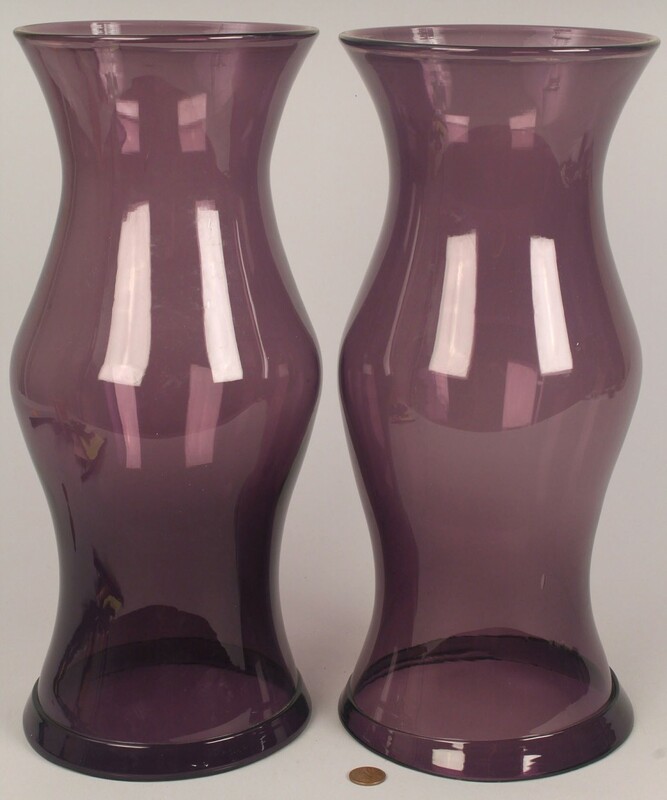 Condition: Item 1: Excellent condition. 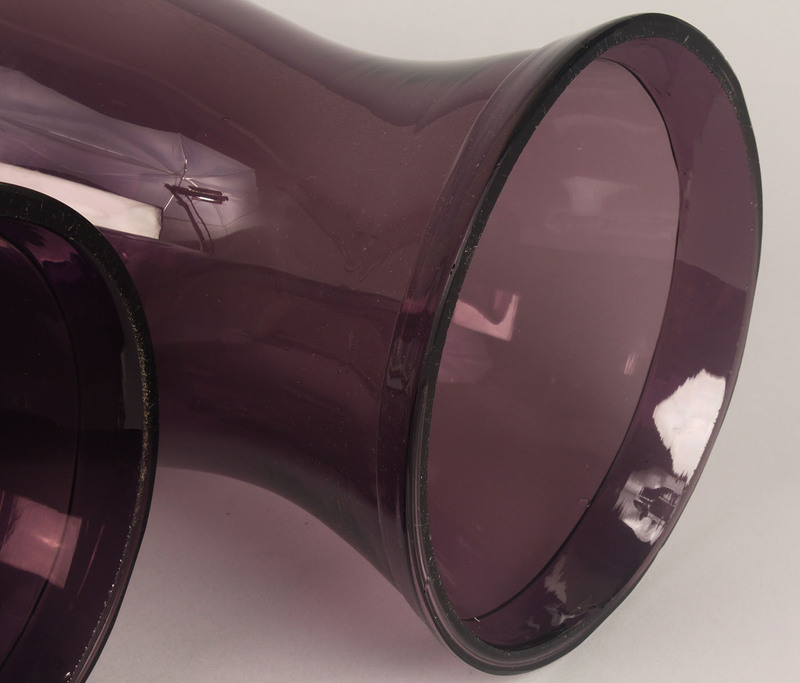 Item 2: Minor rim chips on base, slightly misshapen foot ring.